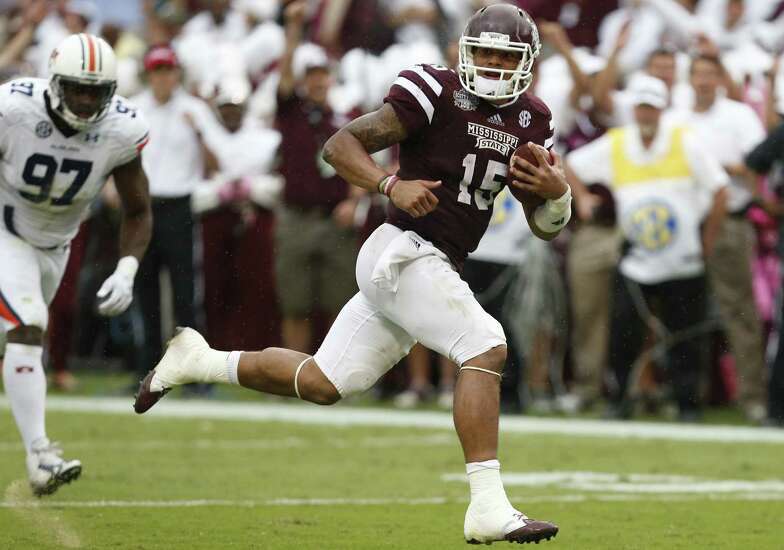 Is Dak Prescott running away with the Heisman? The only thing this weekend was missing was another Rutgers' W. Amiright? Mississippi is my #1 team by any measure right now and I don't even think it's close. Once Florida State loses some random and horribly frustrating game and somebody finally makes Winston own up to all the awful/dumb things he's done I really don't see FSU in the CFB Playoff this year. Both Mississippi teams fooled me and kept rolling this week with good looking wins over Auburn and Texas A&M. Baylor also showed that they belong at the top with a great comeback win over TCU who showed that they are a contender even in the loss. Notre Dame's defense looked shaky against a beleaguered UNC team and Alabama played Arkansas too close for comfort. Both could be considered look-a-head games but if you want to be in the CFB Playoff you cannot afford to look-a-head. Oregon got back to looking like Oregon against one of the most hot and cold teams of the season as they dismantled UCLA. I think we are at a point now where there are 12 teams that have really separated themselves from the pack and I'd be surprised if one of the four playoff teams came from outside that group.